Exercises to review the use of the present simple (affirmative, negative, interrogative). The use of adverbs in context is included too. The above downloadable printable was created for high school students, elementary school students and adults at Beginner (pre-A1) and Elementary (A1) level. 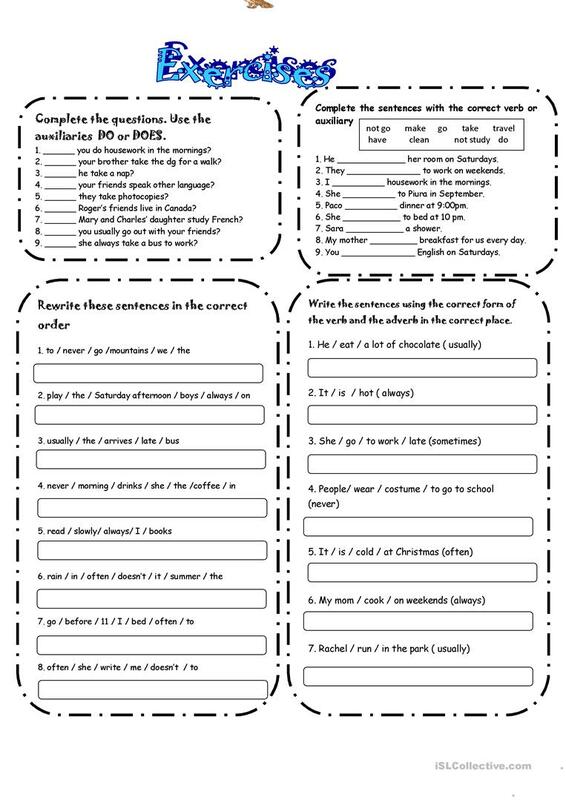 It is a useful material for revising Present simple tense in English, and is a valuable material for improving your groups' Writing skills. It is about the topic and words of Actions.